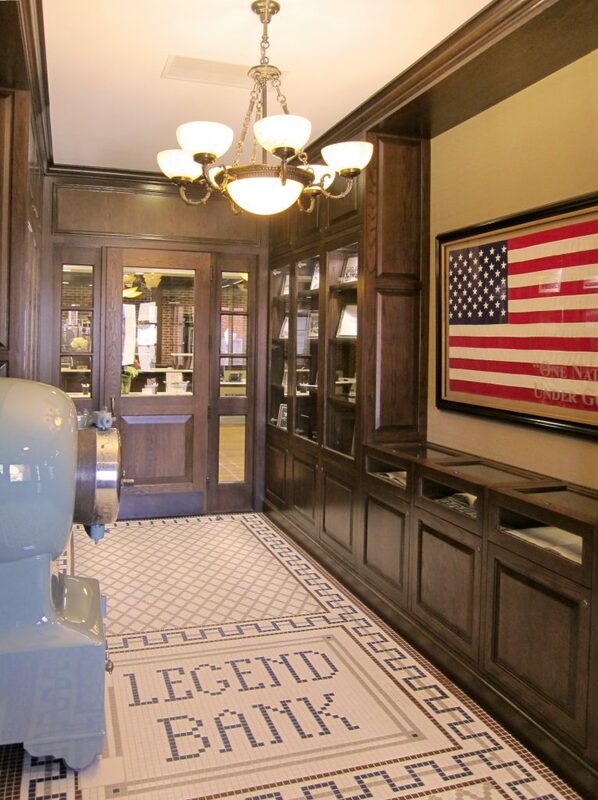 Legend Bank’s Bowie Headquarters Wins Award! Texas Downtown Association,an organization that connects communities who are committed to downtown revitalization, recently announced their 2016 Peoples Choice Award Winners. 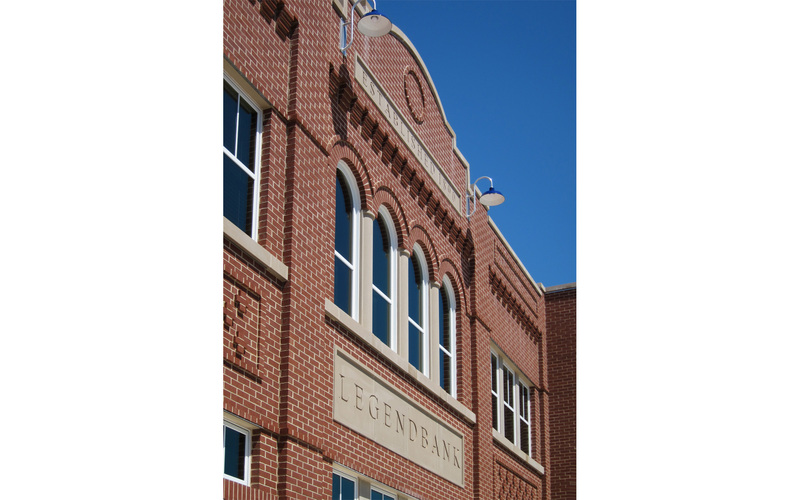 Legend Bank won in the category for Best New Construction for their new headquarters building in downtown Bowie, Texas. 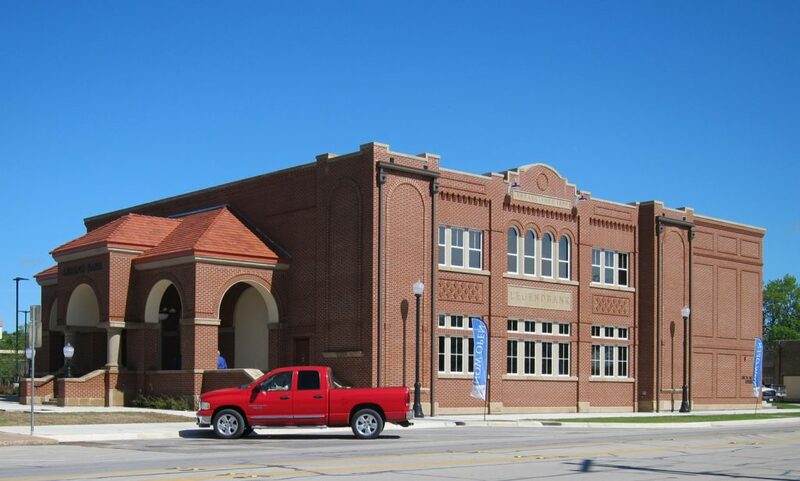 This beautiful building was designed by Rogers-Ford, L.C., who provided both Architectural and Interior Design services. Check out the Texas Downtown Association Facebook page to see all the winners and go to our project page Bowie Bank Headquarters to see more images. 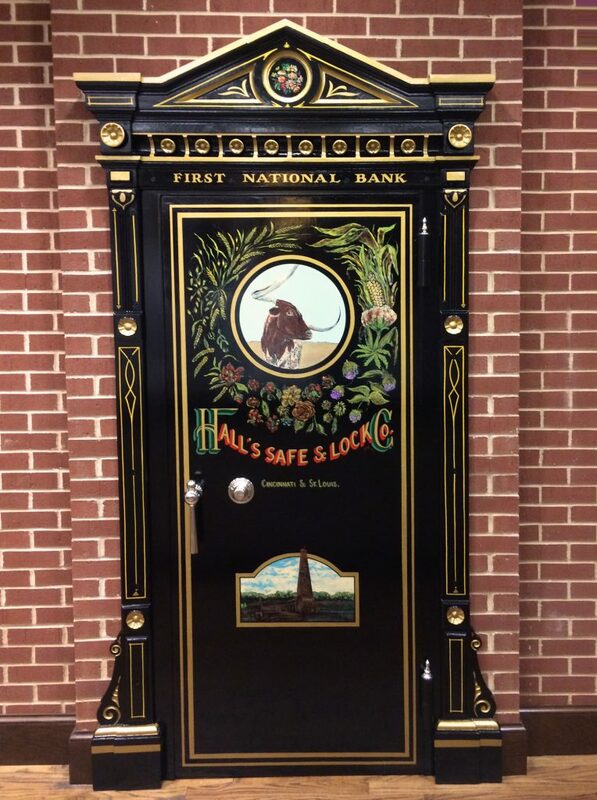 Old Bank Vault door re-purposed in lobby.